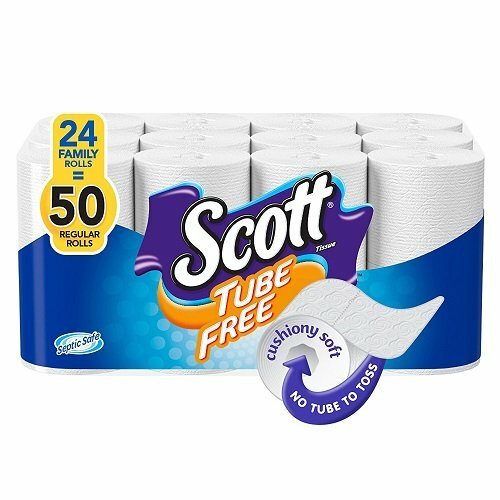 Introducing new Scott Tube-Free Toilet Paper - Our Softest Ever! Cushiony soft with no cardboard tube to toss, Scott coreless toilet paper gives you exactly what you need and nothing you don't. 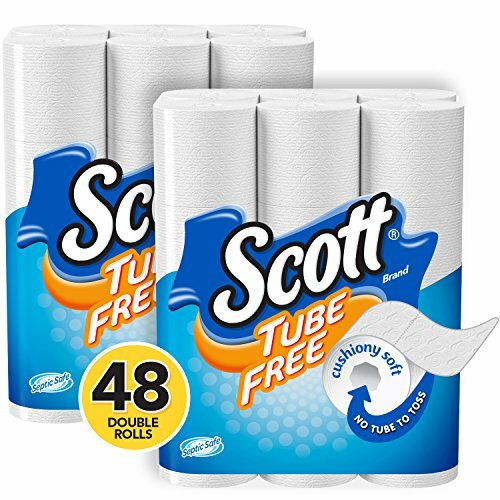 Scott Tube-Free unrolls like regular toilet paper, without leaving the last sheet stuck to the tube like you get with other toilet tissue products. Scott Essential provides reliable balance of efficiency, performance and value. 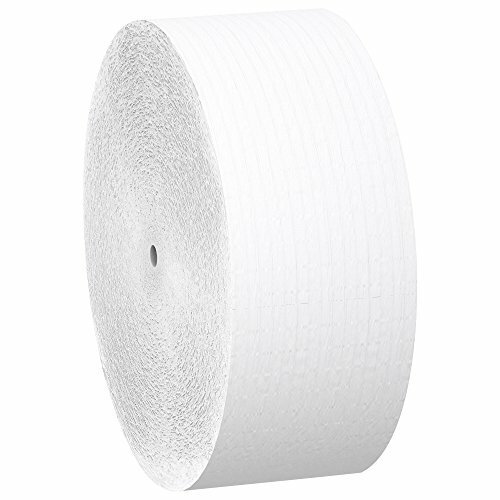 Selecting Scott Essential Jumbo Roll Coreless Toilet Paper is a smart choice for your business. It brings you high capacity (a whopping 2,300 feet per roll!) and each roll offers 15% more than standard jumbo roll toilet paper brands, so you'll have to order less frequently. It's an economical choice, but thanks to its 2-ply design, it's also soft and durable. 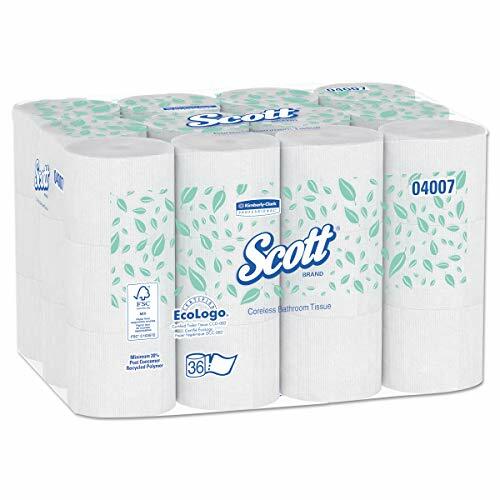 Scott's coreless bath tissue (made by Kimberly-Clark) meets EPA guidelines for post-consumer waste and is FSC certified. 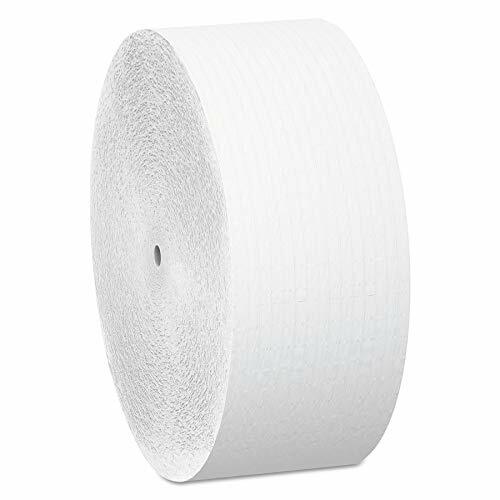 It's elemental chlorine-free (ECF) and reduces packaging waste with 100% elimination of core waste when compared to cored commercial jumbo rolls. 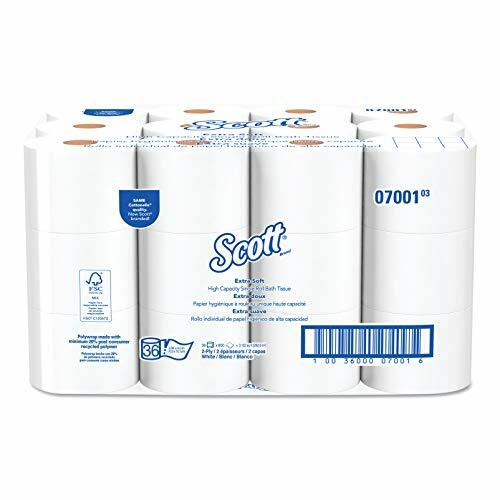 Scott Essential jumbo roll bulk toilet tissue works with manual Coreless Jumbo Roll Tissue dispensers. It's a savvy, economical and efficient choice for your business. Tork advanced coreless high capacity 2-ply bath tissue has twice the capacity for fewer restroom maintenance intervals and reduced risk of product run-outs for improved patron satisfaction. Allows you to manage waste effectively and responsibly with less trash to remove and more time for the other tasks. Ideal for low to medium traffic washrooms with high focus on guest satisfaction. Poly-bundle packaging reduces inventory space required, making refill storage and retrieval easier than traditional roll tissue. Without the core, you gain more - two high-capacity rolls are equivalent to five conventional rolls. Offers the comfort of 2-ply softness with reliable performance you can count on. This product contains recycled fibers (minimum 40 percent ) and a minimum of 20 percent post consumer fibers - environmental benefits and positive image Builder. EPA compliant and FSC certified. For use with Tork 473200 or 473208 coreless toilet paper dispensers. Attractive compact vertical coreless bathroom tissue dispensing system provides up to six times the capacity of single standard 2-ply rolls while maintaining your professional look. 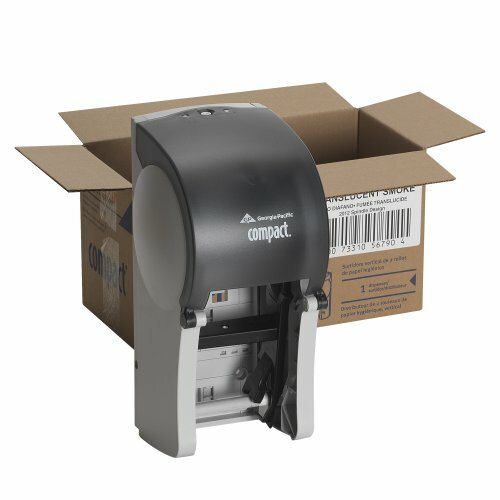 This dispenser delivers up to 6,000 sheets of tissue for continuous service and increased patron satisfaction. Automatic drop down feature provides users with continuous service and lifetime satisfaction offers peace of mind. Don’t leave home without your Coreless, Travel size coreless toilet paper. 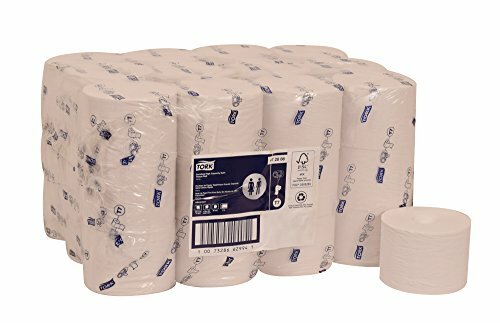 225 sheets of soft & absorbent toilet paper ready to go with you where lifes adventures take you. Comes with handy resealable bags to keep your tissue safe and dry. 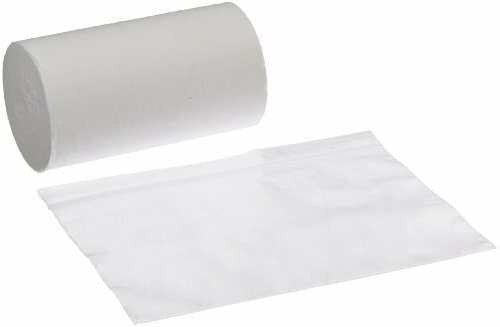 Looking for more Roll Coreless Tissue similar ideas? Try to explore these searches: Checked Cargo Shorts, Seeds Comb, and Plastic Insulated Dog House. Look at latest related video about Roll Coreless Tissue. Shopwizion.com is the smartest way for online shopping: compare prices of leading online shops for best deals around the web. Don't miss TOP Roll Coreless Tissue deals, updated daily.